Mary, did you want to speak? Yes, My son. 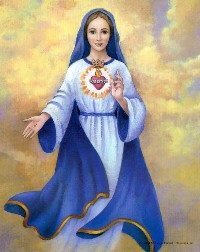 This is Mary the Mother of God and the Mother of all My children. Satan is getting very vicious and attacking most of My children. Many of My children are getting very confused now and being attacked by satan. Be very loving and peaceful with people now. They are very upset and disturbed with all that is happening in the world. My Son wishes to speak. This is Jesus, Son of Mary. This is a special day for My Mother as She was taken to Heaven. Pray much to Her and St. Anne, Her Mother. Mary has been given much power from the Holy Trinity to crush satan’s head. My children, all of Heaven needs the prayers of the people on Earth to help My Mother to crush satan’s head. The devil is very vicious now because his hundred years to take down the Church is over. The devil is now losing his power and using all the power he has to attack the children of Mary and Her army. Be faithful to My Mother and pray much on this special day. Love, Jesus and Mary. My most beloved son, this is Jesus of love and mercy. I came to ask you to intercede for all My Father’s children. Many are dying now and many more will die soon from more and worse natural disasters. My children are not ready to die, many are in mortal sin. A lot of the leaders of God’s church are living in mortal sin and are not even aware of it. They are teaching false religion and not telling people all the truth, just the truth they want to believe. Many Catholics are living in mortal sin. They do not believe in mortal or deadly sin. It is a mortal or deadly sin to miss Mass on Sunday or Holy Days of Obligation. If you are in mortal sin and go to Mass, you cannot receive Holy Communion or you commit another mortal sin. If you do not get to Confession at least once a year, you have committed another mortal sin, unless you are not aware of it. All of Heaven is sick in seeing so many Catholics that call themselves Catholic and are just ‘Sunday Catholics’ and work for or with satan the rest of the week. The only reason for missing Mass on Sunday is for sickness, doing a job you cannot get out of, not having a priest or Mass in your area. There are more, but this gives you an idea of what I am saying. Also, the Ten Commandments are for ALL people of ALL religions. Start reading them and following them. My children, you are all so sick but a lot of it is caused by the leadership in all the churches. I am a merciful God but I am also a just God. If I give you mercy, I give full justice but soon, very soon you will be living in God’s justice and it will be very hard to change. I am giving you another warning, but I told you My son I would not give any more warnings but love and mercy keeps warning you because I do not want ANY of My children to live in hell for all eternity. Please listen My children, you have free will and I will not force you but I will let satan cause many catastrophes in hopes that you will wake up before you have to live in hell for all eternity. Love, Jesus. My most beloved son and daughter, Happy Anniversary from God the Father on your 53rd anniversary. We wish to give you and your wife and family a special blessing from Heaven to all your family, to your children and grandchildren. Thanks for all your family does for Heaven and for all of your friends. Please offer this special blessing to all My children of the world to save their souls. This is the Most Holy Trinity and all of Heaven giving this blessing to your family and all of My children in the world. Bless your close friends personally and all of Heaven and I, God the Father, will bless the rest through you on earth. Your God blesses all people on earth through other souls who give Us permission. Because of their free will we have to come through people who give their free will to God and are trying to live in God’s Will for Us to use them. Love from God the Father to all. I AM who AM. This is God the Father of Heaven and Earth. We have been warning all of Our children about the ‘Warning before the Warning’ for all of Our children. Mary, your Mother, has been appearing to people for years and I, the Father, and the Holy Spirit have been speaking to our messengers for years to get all of our children ready for the main Warning when every soul on the face of the earth will be taken out of their bodies at the same time and see their God face-to-face with a mini judgement where you will see where you would go if you died at that minute. You will be taken to that place; it would be Heaven, Purgatory, or Hell. You will feel the joy or pain in whatever place you are taken in hopes that you will repent if you are still living in mortal or deadly sin. 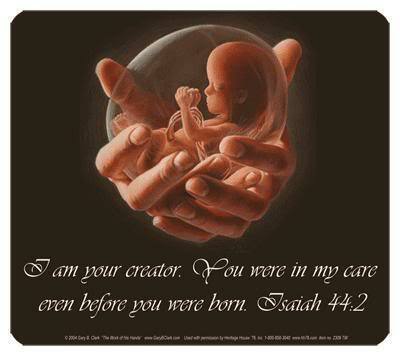 Your time of warning and grace is about to end before the blessing that I, your God, is about to give all Our children. Then there will be 40 days for all My children to get out of mortal sin and start living for God and stop living in the sins of satan. This is when the ones who have been marked on their forehead with a cross will be lead to the protected refuges and the rest will be left in the world full of hell and torture. My Mother wants to speak. My most beloved children, God has been letting your Mother come to you for years to try to wake up Her children but most still are not listening. This will be your last major chance to repent. Please listen to My Son as He talks to you face-to-face and reveals the whole truth to you and all the love He has for all of His children (in the Warning). Love the Sorrowful Mother of God with all Our graces from Heaven. Love, love, and more love. My most beloved son, this is Jesus of love and mercy and justice. My time is close for all My children to see their soul as their God sees it. Many of My children are not ready for the Warning. Tell My beloved children I am a God of love and mercy but I am a God of justice. My children must repent and go to Confession, if Catholic, or come straight to Me, their God, if not Catholic. Most of My children do not even see their sins now but when I, God, show everyone their sins, they will either deny Me or ask forgiveness during the next 40 days of mercy before My justice will begin. Please pray for all My children on the face of the earth. Some of the people you encounter are satan’s children or in satan’s army, created by satan just like in the time of Noah before the flood. We are now again in this era of time in the history of the world. As I have told you before, satan uses the sperm banks of My children and the sperm banks of the animals to create all of his animal-like people to destroy My Kingdom. His tactics are way above what most all of My children are able to understand. Satan uses whoever are possessed by the fallen angels that look like humans but are without a soul and are not God’s children. This is how they can kill and torture My little beautiful children and not even think anything of it. This is the Holy Trinity telling you this which has to be said so people can understand how these animal-like people of satan can do the things they see happening in the world and cannot believe that people can be that evil. Please pray, pray, and pray for all of My children that have been possessed and used for the evil of satan. The Warning is close and the disasters will keep getting worse until My real children drop to their knees, ask forgiveness and go to Confession. Love, love, and more love. An angry God to His sinful children. Catholics get to Confession now while it is still easy. My love and My most beautiful one and all My most beautiful children. My son the intimacy I showed you last night was very profound. I want to show all My children this intimacy, but they will not listen to their Mother or their God. Next Saturday is the Feast of the Sorrowful Mother, but My son, this is also your Sorrowful Mother talking to you because so many of My beloved children do not know Me, do not love Me, and will not let Me take them and be their Spiritual Mother. All of My children need to let their real Spiritual Mother take them into Her so that they can be reborn into the spiritual world with Heaven and all the angels and saints. Then I can protect them against satan and all the evil demons that have taken over most of the Earth. 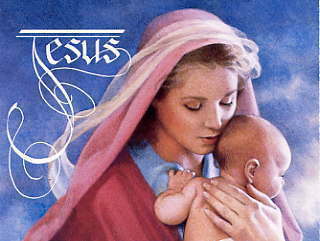 Jesus and I are your real Mother and Father from Heaven. Your earthly mother and father conceived you and brought you onto the Earth through the Power of the Holy Spirit. God the Father, the Son, and the Holy Spirit made you on the sixth day of Creation and kept you within themselves till it was your time to be put on Earth and do the work for Heaven that you were created to do to fulfill God’s mission that He wanted you to do on Earth. My children, I am so sad on this day, on My birthday, because My children have left My Son and Me and given away the graces We have given them in order to buy the evil from satan and the world. A lot of our children have left their God and Mother from Heaven and joined the evil forces of satan and his demons. My God and your God’s hand is falling hard upon the world for the sins of the flesh of Our children and disaster after disaster after disaster will continue to strike the world to try and wake up Our beautiful children before it is too late to save their souls. A Sorrowful Mother on Her beautiful birthday. My children do something good for My Son and Me this day and turn My tears of sorrow to tears of joy by praying your Rosary. Love, love, and more love.